I am absolutely delighted to formally announce that Ali Wheeler has agreed to take on the role of ADC Community Impact & Development for Mersey Weaver. As you all know, Community Impact has always been a huge part of the Scouting programme and this is an area where I feel we can continue to flourish and inspire young people to take on ambitious projects and have a meaningful impact on the lives of others. Ali has been involved in Scouting all her life and became a Leader at 18 running a Cub Pack in Chester and then a Venture Scout Unit. 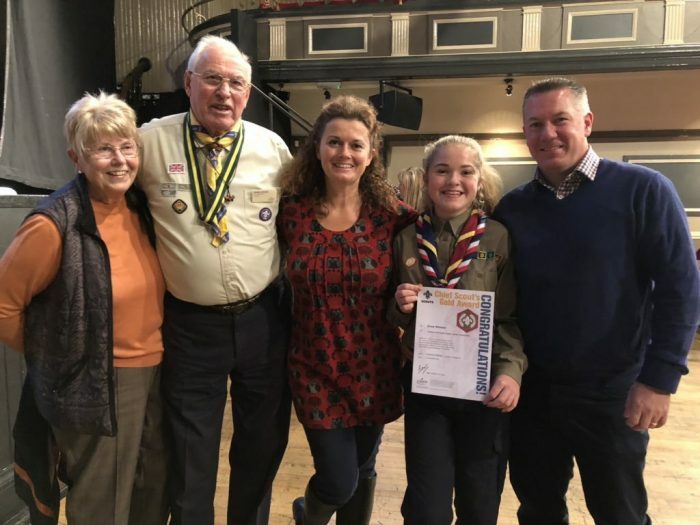 She went onto run the Scout Troop for 1st Newton and Kingsley for a number of years and has supported both her children in Scouting for the last 10. Ali has worked for the public sector for 25 years and has been involved in many community projects. She has experience in community development and engagement and is passionate about communities working together to support each other. Her current professional role is Associate Director of Transformation for Cheshire West Integrated Care Partnership. In her role as ADC Community Impact & Development, Ali is keen to know how Scouting can support and activate communities to tackle issues like loneliness and social isolation as well as building and supporting community resilience and helping local people to live healthy and happy lives. She is also keen to work with communities to see how they can support and grow Scouting, ideally creating opportunities where Scouting and communities can work together for mutual benefit. Ali is currently being inducted into the role and finding her feet and it will take her a little time to get to know everyone but I know I can trust you all to give her a warm Scouting welcome. I would encourage you to share with her, as you do with me, some of the fantastic Community Impact work you do and reach out to introduce yourself and your teams. Thank you for everything you do for Scouting and our community in Mersey Weaver. I look forward to seeing this continue and develop with Ali’s support going forward.